After the incredible success of Vine, Twitter has realized that videos are becoming quite popular among their user base, and with an aim to increase their market share, they have launched Twitter Videos. This new video platform, which is accessible at video.twitter.com is currently only available for verified Twitter users. Interestingly, Youtube videos are not allowed to be shared on this platform, which suggests that Twitter wants to compete directly against them and want to dominate the market. Twitter specifically says that urls of Youtube videos cannot be shared on their platform. Instead, users are encouraged to upload the videos on Twitter’s server, and then share them. 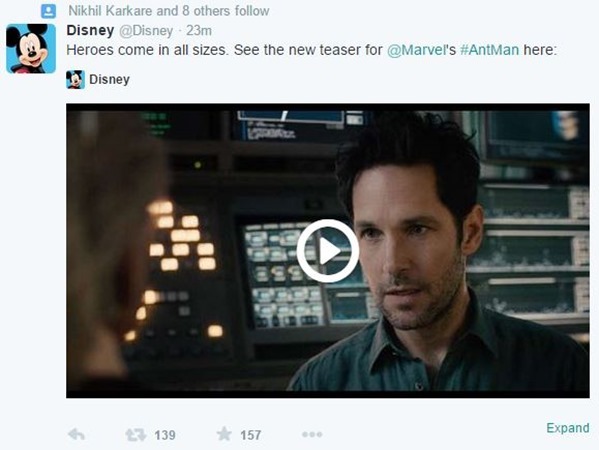 Here is how videos will look on Twitter Timeline. You can check out more videos uploaded through videos.twitter.com here. For playing out the videos, users are instructed to use only Twitter’s own video player. Webmasters can integrate Twitter video player directly into their websites via Player Cards. Only Amplify partners are allowed to advertise on Twitter’s video platform as of now. Amplify from Twitter is a unique advertisement platform, wherein media companies and brands collaborate to distribute TV content on Twitter’s platform. This will be the single most crucial factor, in my opinion. All the videos uploaded on Twitter’s server will become their exclusive content, and no changes would be allowed after its uploaded. But yes, you can choose to delete it, but not edit it any way! The videos uploaded on Twitter can max be of 10 minutes. This restriction might put of many. Although most videos are less than 10 minutes, many users like to publish longer videos as well, and Twitter might not be the platform they may like. On the dashboard of Twitter’s video publishing tool, there would be a single button using which the videos can be Tweeted. However, scheduling of those Tweets are not allowed as of now. It would be interesting to observe how and when third party apps such as Hootsuite and Buffer introduce scheduling of Twitter videos. Only MP4 and MOV data files would be currently supported by Twitter videos. Aspect ratio of video should be 16:9 and should be encoded on “High Profile” h.264 video codec and the AAC (Low Complexity) audio codec. Right now, Youtube is the largest video sharing platform on the Internet, with whopping 100 hours of videos being uploaded every minute on their website. Going by the interesting rules and regulations imposed by Twitter for its new video platform, it seems that they are pretty serious about this, but given so many restrictions, it may be tough for them to get close to popularity of Youtube. What we foresee is that Twitter videos might be more of competition to Instagram or Vine rather than Youtube. for It would be really interesting to observe how Twitter users respond to this feature. You can read the FAQs about Twitter Videos here. Has Government Finally Started Taking Real Estate Domain Seriously?